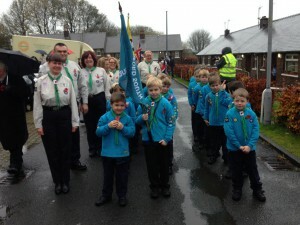 Well done to all our Beavers and Leaders for a fantastic turn out at this year's Remembrance day parade. We were very lucky with the weather, but it was good to see you'd all come 'prepared' with coats on under your uniforms. 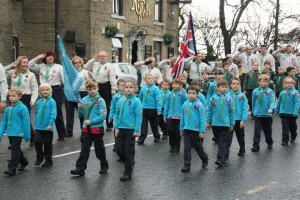 We were very proud of you all, marching at the front of the scouting sections, and joining with Guiding sections, Queensbury Running Club and so many people from the village in this annual act of remembrance.